A list of web mapping tools to explore projects, view CRAM scores, evaluate SLR, etc. The California Rapid Assessment Method is an assessment tool that provides information about the condition of a wetland and the stressors that affect it. Moss Landing Marine Laboratories, the California Coastal Commission, and the Central Coast Wetlands Group have calibrated the tool in the central coast. The Central Coast component of CRAM is part of a larger effort led by the San Francisco Estuary Institute and Southern California Coastal Water Research Project. This application is useful for quickly comparing estuaries to each other along the coastlines of Washington, Oregon, and California. 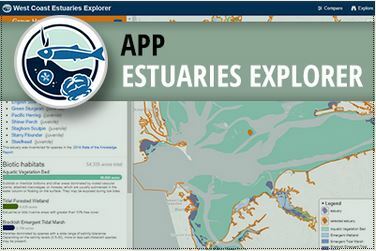 Using dynamic filters and an interactive map you can find estuaries that meet specific criteria; or estuaries that provide habitat for focal species of interest to you. The California Statewide Wetlands Inventory Initiative is updating U.S. Fish & Wildlife Service’s National Wetlands Inventory data throughout the state. Quadrangles will be updated for the region and the Central Coast Wetlands Group will provide input and field assistance to staff to ensure an accurate product. They have produced a Google Earth file of National wetlands, to go to the download page click here. For more information on NWI from CCoWS, click here. 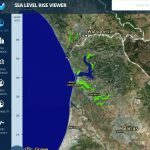 The Sanctuary Integrated Monitoring Network (SIMoN) has several useful interactive maps that hold a huge amount of information on water quality monitoring, ocean habitat and west coast observatories in and around the Monterey Bay National Marine Sanctuary. MarineMap is an online mapping tool developed to assist in the design of marine protected areas (MPAs) in the Marine Life Protection Act Initiative process. The focus is on the south central coast. The Central Coast Wetlands Group has populated EcoAtlas (formerly Wetland Tracker) with information on restoration projects through out the central coast. The information includes location, size, habitat, and status of central coast restoration, enhancement, and creation projects. 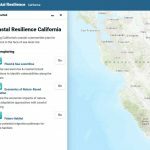 The US Coastal Resilience tools provide support for decision-makers working in the continental US identify solutions for risk reduction and conservation. They build from critical resources provided by many groups and agencies including NOAA, USGS, FEMA, USFWS, TNC and the Natural Capital Project. This site shares information about conservation projects on the Central Coast. This very important mapping tool provides users with information on water quality impairments across the State. On October 11, 2011, EPA issued its final decision regarding the waters EPA added to the State's 303(d) list, which can be viewed here. 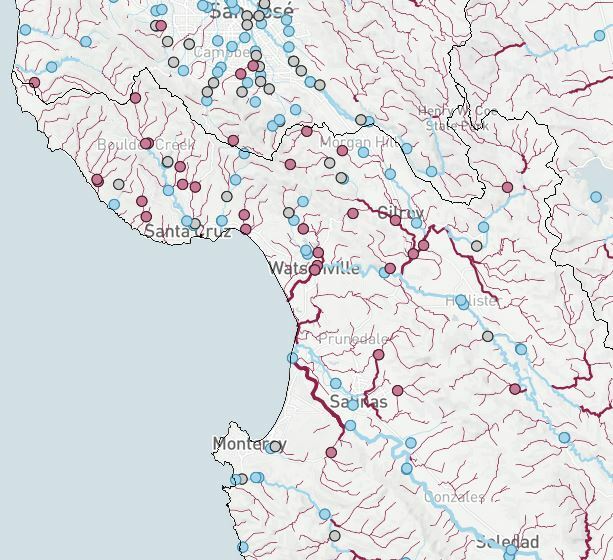 This site displays the most recent water quality data available for Santa Cruz. In some cases sites are not all sampled on the same day. The Central Coast Wetland Mapper is an Internet-based, interactive, GIS planning tool that provides descriptive and spatial wetland and watershed data for California’s Central Coast. This tool can be used to distribute information, analyze permits, and identify and prioritize wetlands for conservation projects.